Tragedy has struck Celtic at various times in the club’s history with the death of players at the club. In its infancy, the club was rocked with the demise due to tuberculosis of the young midfield star Peter Dowds, the first player to die in service. John Thomson’s name, famed throughout the world for his death during a match protecting the Celtic goal, remains a familiar one to even the younger elements of the Celtic support while the sad passing of two great Celts and close friends, Johnny Doyle and Tommy Burns, although separated by almost three decades, remains raw in the hearts of many associated with Celtic and beyond. The name of Peter Scarff tends to be less well known – yet the life and untimely death of this Celt is an evocative story well worth telling. Peter Scarff joined Celtic at the height of Jimmy McGrory’s scoring prowess in the year that ‘The Human Torpedo’ smacked a British record eight goals past a beleaguered Dunfermline team in 1928. Signed by Willie Maley after trying out in a benefit match in Alva, Stirlingshire as a trialist, Peter had been playing for his local parish team, St. Convals in Linwood up until that point. Maley was heard to snap after the game, “Sign Him!” There could only have been one player he was referring to as it was reported that Peter “had impressed all around the ropes” during the trial. It was a no-brainer for young Scarff to sign for Maley’s team – he came from a family of dedicated Celtic supporters in Linwood (and they remain dedicated to this day). As a precocious talent he was farmed out to Maryhill Hibs for experience, a club who had a history of nursing young Celtic prodigies. Charlie ‘Happy Feet’ Napier, who later formed a left sided partnership with Peter and one certain Bertie Auld, would also use the same route into the Celtic first team. 20 year-old Peter made his debut against junior club Arthurlie in a home Scottish Cup tie in January 1929. This was a potential banana skin as Arthurlie had infamously eliminated Celtic from the competition 32 years previously after the furore of the Battles-Divers-Meehan player strike. History was not to repeat itself, thankfully, as Celtic ran out comfortable 5-1 winners with Peter enjoying some favourable press coverage: “The new boy Scarff, brought by Celtic from Maryhill Hibernian, is a gem of the first water. From the first kick, his moves were those of a master. There was mind and meaning behind every manoeuvre, and the way he made the game for his mates was just a joy to behold. You often hear the phrase ‘peach of a pass.’ Verily Scarff’s passes are the juiciest peaches.” The Glasgow Observer was moved to declare that “the success of Scarff and McGrory’s fine display brightened us up no end, and we can face the future with confidence.” The future was indeed bright for young Scarff. He took Jimmy McGrory’s place in the first team a week later against Hearts and, despite losing 2-1, the first Scarff goal was registered on the Celtic score sheet. “It was left to the newcomer Scarff, to show the real Celtic touch in neatly eluding 3 opponents and driving a low ball past Harkness. “A really pretty goal and very heartening to the Celtic following.” The following week Peter scored the only goal of the game against St. Mirren and a month later scored his first hat-trick for Celtic, away to Raith Rovers in a 4-1 victory. He quickly and firmly established himself in the first eleven, scoring 8 goals in 22 appearances in that debut season. In his first full season in a Celtic jersey in 1929-30, Peter was on the goal trail early with his 2 goals against Morton at Cappielow securing victory in the first away game. He followed that up with another hat-trick, this time against Clyde in September in the Glasgow Cup. It was another Scarff goal that secured a point for Celtic at Tannadice the next month when “he crowned a delightful movement in which the whole forward line participated, by shooting past McGregor from close range.” He also scored two memorable goals against Rangers in Charity Cup that season, then a valued tournament which attracted big crowds. While Celtic’s league challenge faltered badly and the team were knocked out the Scottish Cup by St. Mirren in the 3rd round, Peter could reflect proudly on having scored 19 goals in just 27 appearances – second only to Jimmy McGrory himself. He faced the new season with real enthusiasm that he – and his goals – might help bring Celtic some major silverware for the first time since 1927. Season 1930-31 was to prove a landmark season for Willie Maley’s young side. They fought Rangers toe-to-toe all the way for the League title and ended up losing out by an agonising two points – two draws in the last 3 games proving fatal. The esteem which Peter Scarff was already held in was evident from the Glasgow Observer’s report of the opening game of the season against Kilmarnock: “Our big Linwood boy played well in his own fashion tackling with sureness and spreading the ball intelligently . . . I think he has the true Celtic spirit and possesses a strong pair of shoulders and a hefty shot.” That hefty shot was much in evidence as Peter recorded 22 first-team goals, the same as Charlie Napier – but a fair bit behind the famed McGrory who hit the net 44 times! With 101 goals scored in the league it was clear that Celtic’s front line was leading the charge against Rangers. It was Celtic’s renewed attacking vigour that helped them land the Glasgow Cup in October 1930 – Peter’s first medal as a Celt. They also had to rely on the traditional Celtic spirit to see them through. Charlie Napier had to go off injured – no substitutes were allowed – and Peter’s friend, Bertie Thomson from nearby Johnstone, was then sent off. Despite being reduced to 9 men Rangers continued to receive assistance from their steadfast 12th man: the referee. Scarff was the victim of one particular decision: “From the free kick Scarff shot a second goal for Celtic, amid demonstrations of great joy, but to the surprise of the Celts [the referee] gave a free kick in the goal area, whether for offside or fouling no one could say, the crowd yelling disapproval.” Despite this, Maley’s bhoys stuck to the task and saw the game out, securing an important psychological victory into the bargain. The 1930-31 Scottish Cup campaign got underway against East Fife at Methil in what proved a difficult encounter. A goal down at half time followed by an injury to McGrory, forcing him to move to outside-left, and things were looking bleak. Charlie Napier secured the equaliser and it looked as though the Celts would have to settle for a replay until, in the dying moments of the game, Peter Scarff struck to win the tie. Successive away victories over Dundee United (3-2) and Greenock Morton (4-1), was followed by a comprehensive beating dished out to Aberdeen at Celtic Park (4-0). A 3-0 victory over Kilmarnock in the semi-final set up a Cup Final date at Hampden with Motherwell – before a crowd of 104,803. Celtic struggled to overcome an impressive Motherwell side (who would go on to win the League the following season) and were facing defeat until a Bertie Thomson cross was turned into his own net by Motherwell defender Craig. This meant that Celtic would have another crack and this time they did not disappoint, running out 4-2 winners in the replay (with a double each from Bertie Thomson and Jimmy McGrory). For Peter Scarff, who had recently turned 23 years old, it was the pinnacle of a football career which promised much more. 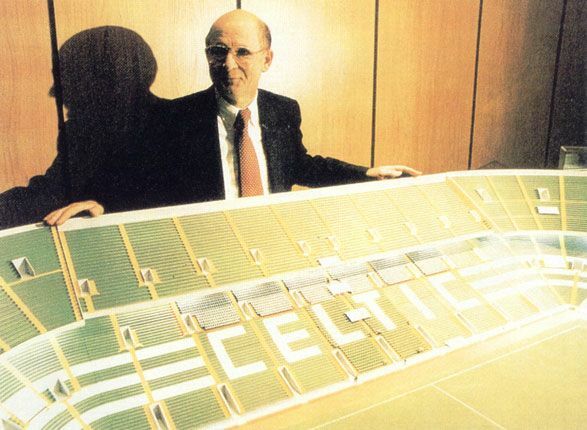 He and Celtic were clearly heading in the right direction. This was ably demonstrated when he was selected for his first international cap – against Northern Ireland – another measure of his standing at such a young age in the Scottish game. Scottish Cup success and a first international cup would not be turning the head of this Linwood bhoy though. A tale recounted to me by a descendant of the Scarff family tells of Peter’s kindness. A poor flower seller outside Celtic Park used to furnish Peter with a fresh flower for his lapel every day after training. She was extremely grateful to receive a sum of one shilling for a flower that was on sale for a halfpenny – a figure that was 24 times its value. Peter and his Celtic team-mates were to celebrate their Scottish Cup success in some style as they departed by cruise ship for Celtic’s first ever tour of North America in the summer of 1931. Scarff wore a Green/Blue dress shirt in one game instead of the Hoops supposedly because of a kit shortage. Rumour has it his shirt was stolen by an overzealous American hoops fan. An item appeared on E-bay in recent years with a claim to being Peter Scarff’s shirt from the tour, asking for an astronomical sum! In what turned out to be a gruelling tour for the players, the Celtic team boarded an overnight train after the Montreal match to New York for a game against Hakoah Allstars played the next day, when both Scarff and Napier were sent off in a physical match against a team peppered with Hungarian internationals. The chance to see New York and other great sights of 1930’s America were a genuine thrill for Peter and his team-mates, but many of the games on the demanding tour were overly competitive for friendlies and a number of Celtic players picked up injuries along the way. The squad were not entirely unhappy to head for home after the final game at the end of June. Following the American adventure, Celtic got Season 1931-2 off to a flying start with three straight victories (and 9 goals) in the first three games. McGrory and Scarff were leading the goal-scoring charts for the Bhoys and it was an unbeaten Celtic team with 26 goals in 7 games who travelled to Ibrox on September 5th 1931, full of confidence that they could match the Ibrox team and take the League flag that season. The tragedy which unfolded that day at Ibrox is two-fold in nature, but what happened subsequently to Peter Scarff has largely been overshadowed by the loss of his team-mate and goalkeeper John Thomson in an accidental collision at Ibrox that day. Peter was pictured standing motionless staring at his fatally injured colleague being stretchered from the pitch. He himself missed the next two games due to illness, returning the next month to first team action. Celtic’s league title was beginning to falter in the aftermath of the death of the Prince of Goalkeepers. Peter Scarff was also unable to shake off the illness which had caused him to miss games. On 19th December 1931 Peter Scarff donned the famous Hoops for the 112th and last time – and he was still only 23 years of age. His appearance that night was cut short after he appeared to cough up blood on the pitch. This alarming sight generated immediate concern for onlookers. After tests a diagnosis of tuberculosis was confirmed, a bacterial disease also known as consumption that had been a scourge in recent times. It was this disease that had taken Peter Dowds of Johnstone, a player Willie Maley called “The greatest ever all-round Celt” some 29 years earlier. Peter Scarff lost his struggle with tuberculosis and, at the age of only 24, he passed away on the 9th December 1933 at his home at 33 Bridge Of Weir Rd. Linwood. His funeral service in Kilbarchan Cemetery took place after a requiem mass at St. Conval’s Chapel in his home village. A report by the Weekly News on the funeral reported that “A poignant moment was that when as the coffin was leaving the Church a poorly dressed old woman bustled through the crowd and placed on the coffin a humble spray of flowers.” This old woman was the flower seller from outside Celtic Park who had walked barefoot from Glasgow to pay her respects to Peter Scarff for his generosity. It was a lovely, touching tribute. The young Celtic player and Scottish internationalist was dead, just over 2 years after his team-mate John Thomson. It was a few years before Celtic’s first eleven properly recovered from the loss of both men. It is easy to draw parallels between them, two brilliant young Celts who both played in the same team, never realising their full potential for Glasgow Celtic in heart breaking circumstances. Had Peter Scarff lived he would have went on to play at his peak alongside household names such as Jimmy Delaney, Malky MacDonald and Johnny Crum who were leading lights in Willie Maley’s last, great Celtic team who went on to win the Empire Exhibition Cup in 1938. Peter would also have had the opportunity to play before Europe’s biggest ever football attendance, a jaw-dropping 146,433, in the Scottish Cup final versus Aberdeen at Hampden in 1937. Peter is commemorated by The Peter Scarff Linwood Celtic Supporters Club established in 1947 in his name. The club remains active to this day and members of Peter’s family have been involved with the club since its inception to the present day. In December 2013 the Celtic Graves Society and the Peter Scarff CSC organised a commemoration ceremony at Peter’s graveside where a large crowd of Celtic supporters from Renfrewshire and beyond heard eulogies from Peter’s descendant Anne McElhinney, Lisbon Lion Jim Craig, Celtic historian David Potter and Celtic FC Chief Executive Peter Lawwell. Although the Scarff and Thomson stories are tragic they are part of the Celtic folklore that helps to make the club’s history the richest and most colourful in British football and beyond. Their efforts for the Celtic cause in their short but successful playing careers should not be forgotten. I think it is right that we should remember Peter Scarff. It had to happen eventually. 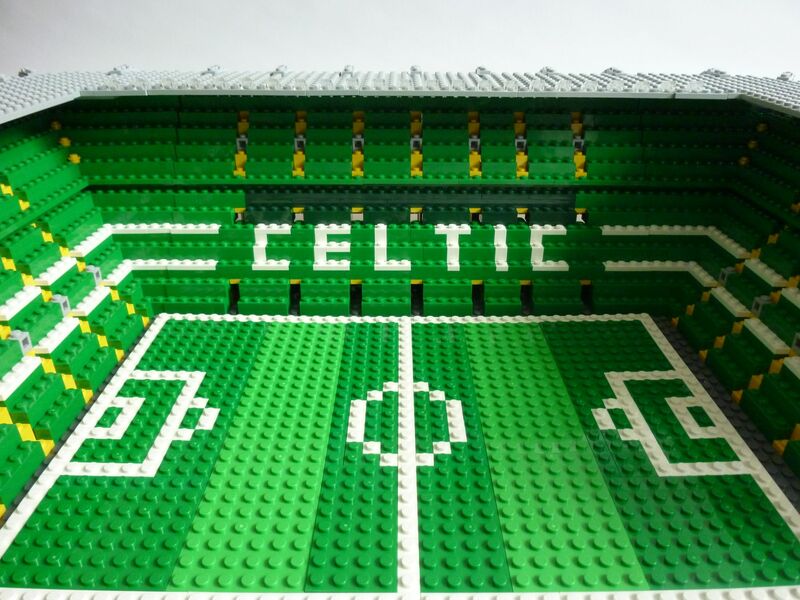 With the world gone Lego crazy it was only a matter of time before attentions were turned to the world’s great football stadia. 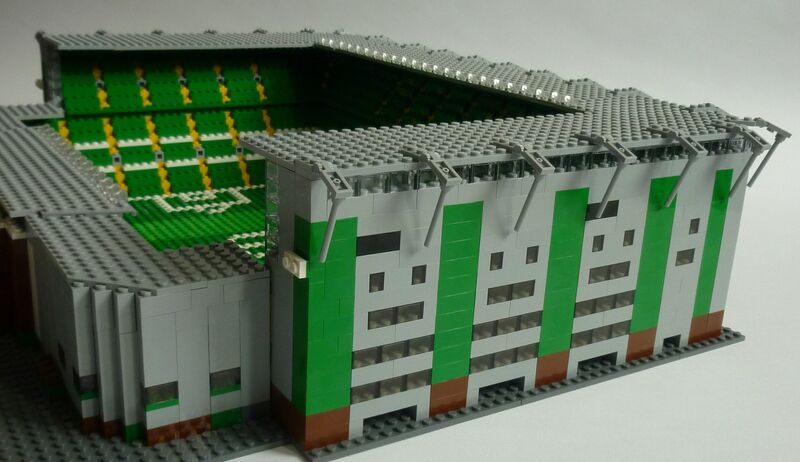 This is an impressive re-modelling of the grand old stadium on a tiny scale that James Forrest/Brian McLaughlin/Patsy Gallacher* would still fit into quite comfortably. No detail has been spared in the recreation of the modern Celtic Park – the eagle-eyed among you might even identify your own seat in Paradise. As it is on sale for the princely sum of £299, most would struggle to afford the real thing and have to make do playing with the model and imagining the game being played out on the verdant turf while simultaneously listening to the Radio Shortbread broadcast. It is good to see that other Scottish teams haven’t been neglected, even the newest one. 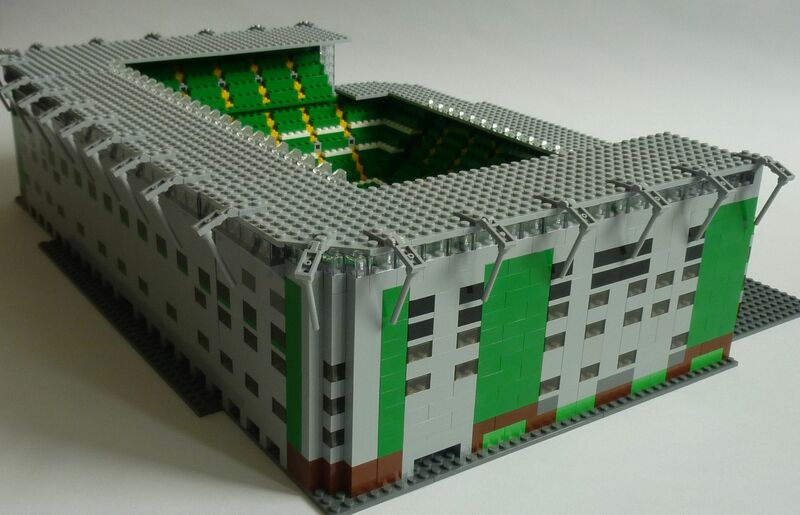 On Twitter, @CelticChuck67 revealed that the latest bloomail campaign had forced Lego to bring out a limited edition Manchester 2008 version to recall oldco’s finest hour. Lest we forget. Jim Craig, the Lisbon Lion, is no stranger to publishing and the media. 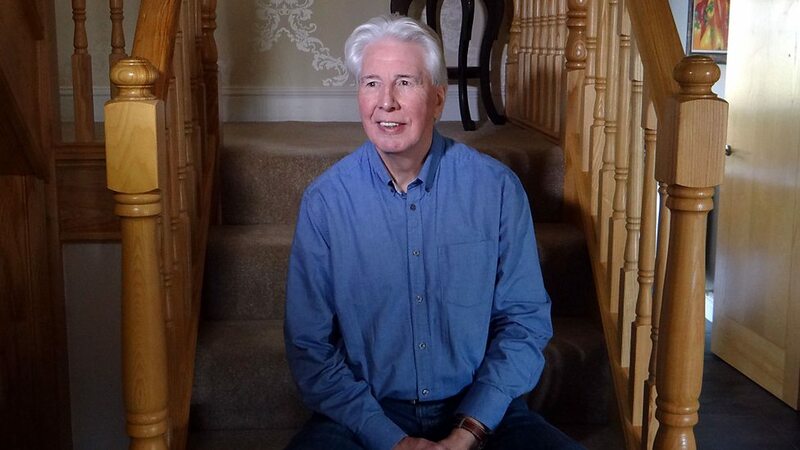 An accomplished commentator for many years on the radio and then with Celtic TV as well as a gifted writer and researcher – his books ‘A Lion Looks Back’ and ‘Celtic: Pride and Passion’ (written with Pat Woods) are both tremendous reads – Jim is also active on Twitter and has a WordPress blog. A few weeks ago he took to Twitter on the 26th May to recall in separate tweets what happened to him on 26th May 1967 – the day after he helped Celtic become Champions of Europe. It was to prove as significant a day for Jim as the day before was for his team-mates and is well worth a read. 26May1967: 5.30pm? Arrive at Abbotsinch. Cup is in a big box. The crowds are amazing. John Lawrence greets and congratulates us. The bus drives along Renfrew Rd towards Shieldhall. Police outriders clear a path through crowds. Incredible-people just waving and smiling. Contrary to legend, we don’t go past Ibrox. That would have been tawdry. A sharp left down the Clyde Tunnel up to the thronged Dumbarton Rd. Along Gallowgate. Crowds ever thicker, and we can now hear them. Such a beautiful evening – thank God all those people are spared the rain! Parkhead X, down Springfield Rd, we turn right on to the London Road. It’s now difficult for the outriders to clear a path. My arms and jaws are sore from waving and smiling at all those wonderful sunny folk. Some hanging precariously from ..
… the railway bridge at Kerrydale St to get a better view. Snail’s pace now as we turn into Kerrydale St. Overwhelming stuff. The boss takes the cup straight to Gribbs in the boot room. Very fitting and emotional for them. Then down the tunnel and on to the lorry .. BEDLAM!!! The pitch of the crowd is higher than usual. Never seen so many women in CP. You can’t describe the pride we felt in that moment. The band preceded us on two laps at walking pace. We try to spot friends and family. A joyous, humbling thing in the Celtic Park sunshine. I thanked her and struck a conversation. She told me she was going to live in France for a year as part of her degree. Then a wizard idea ..
Elisabeth was the daughter of Celtic director/solicitor Jimmy Farrell – and subsequently Mrs Craig . . .
Here’s hoping Jim continues to make a valued contribution to the history of Celtic and Scottish football for many years to come. On this coming Saturday, 27th June, the latest presentation in the series of History Talks organised by the Irish Heritage Foundation in Scotland is being held at the Mitchell Library, Glasgow. 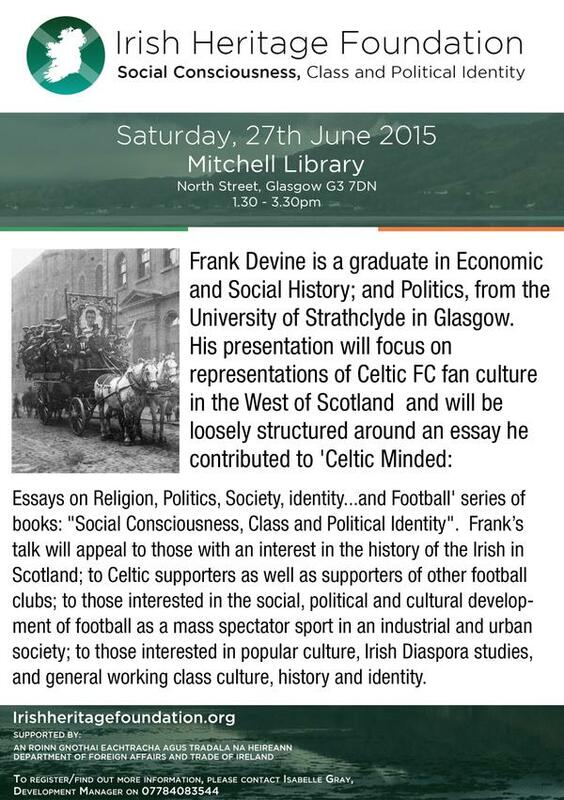 Frank Devine is a graduate in Economic and Social History with Politics from the University of Strathclyde and a contributor to the ground-breaking ‘Celtic Minded’ books edited by Dr. Joe Bradley. 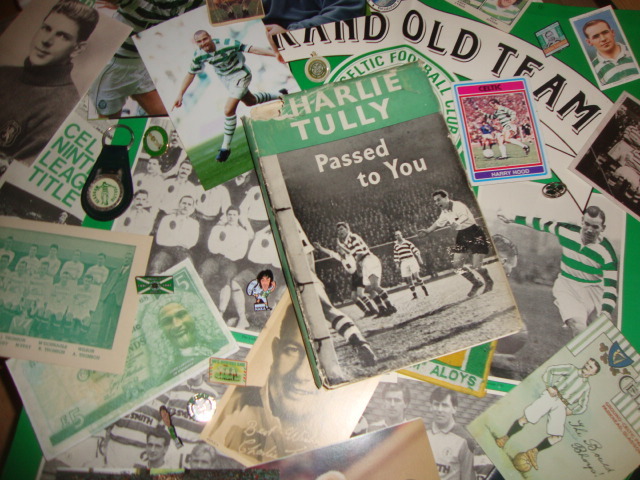 Frank’s presentation will feature on the identity and representations of Celtic FC fan culture in the West of Scotland from the club’s foundation in the 1880s to the present day. The event, which starts at 1.30pm, is expected to be well-attended and you are urged to get there early. On the morning of ‘The Game’ supporters congregate in thousands of houses throughout Greater Glasgow and Lanarkshire. Bank employees, the unemployed, social workers, bricklayers, teachers, production workers, insurance salespeople, shop workers, office workers, as well as a wide range of other occupations, all come together under the one banner: a community is constituted. The vast majority of Celtic supporters, including the ones that sit in the expensive seats and the corporate boxes at Celtic Park, are working class or hardly more than one generation removed from a working class lifestyle and background. Indeed, given the reality of the Irish diasporic experience it would be fair to assert that the vast majority of Celtic supporters have never been to a Celtic match or attended Celtic Park. Before and after matches Celtic supporters crowd into premises popularly viewed as Catholic, Irish or Celtic bars throughout the West of Scotland. 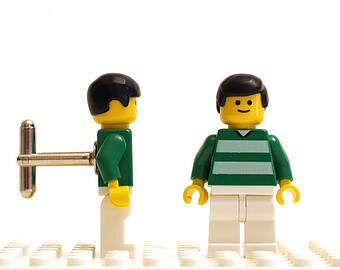 In fact one internet website – Celticbars.com – suggests that there are almost 1800 of these establishments world-wide. Reflecting on this figure, this is an astonishing number of bars advertising themselves as supporting one Scottish football club, although it is my assertion throughout this presentation that Celtic is much, much more than just a football club and needs to be vied in a much wider perspective.. In Glasgow licensed premises over recent years that have attracted Celtic supporters include, Bairds Bar, Traders Tavern, Waxy’s Dargle, The Wee Mans, Rosie O’Kane’s, The Squirrel Bar, The Emerald Isle, The Hoops Bar, The Foggy Dew, Lynch’s/The Old Barns, Mulvey’s, The Tolbooth Bar, The Empire Bar/Costello’s, The Caltonian, Mulvey’s and the Tolbooth Bar – most situated in and around the historic Celtic heartlands of Glasgow Cross, The Calton and The Gallowgate – are packed with thousands of Celtic supporters, many of whom have made the pilgrimage from Ireland and further afield as well as from other parts of Scotland. . These bars are instantly recognisable to anyone who walks through the Gallowgate district of Glasgow’s East End as well as a number of other urban areas. Some have the Irish tricolour flying from the premises and some are pained in the green of Celtic and Ireland. The same is true of pubs in other parts of Glasgow, for example in The Gorbals, Govan, Govanhill, Blackhill and ‘The Garngad’ as well as in other parts of the Greater Glasgow area including Clydebank, Paisley, Greenock, Dumbarton and Port Glasgow and indeed, any number of other areas. In Lanarkshire Celtic supporters have in the recent past, or continue up to the present day, to congregate in, a number of clubs, pubs and bars long viewed as Celtic bars. These include – or included in previous years – such premises as the Commercial Bar and Finbars – now the Priory Bar and John Carrigans – in Blantyre, The Clock Bar and The Big Tree in Coatbridge, Franklyn’s Bar, McCormick’s Bar and Saints and Sinners in Bellshill, Tully’s Bar and the Railway Tavern in Motherwell. Other Celtic supporters will meet up in Kelly’s Bar in Cleland, The Big Shop in Glenboig, the Era Bar and King Lud Craignuek, Doherty’s, the Auld Hoose and Hemingways Bar in Hamilton. Carrigan’s, The Hibernian Club, Carfin Vaults and McAuley’s bar in the Celtic stronghold of Carfin, as well as dozens of other pubs and clubs throughout the ‘heartlands’ are packed with supporters. Therefore – and this is the important part – this ‘Celtic Culture’ goes well beyond the confines of Celtic Park and into the homes and communities of its historic support. Indeed, one can imagine this community also coming together in bars in Sydney, Hong Kong, New York and Toronto and a hundred other places dotted throughout the world. Celtic lives beyond the ‘Fever Pitch’ atmosphere of a Saturday or Sunday afternoon or a Wednesday evening. Before games much of the support board coaches organised by hundreds of Celtic supporters clubs. Originally known as ‘Brake Clubs’, they were previously organised throughout the Catholic parishes of the West of Scotland. The Catholic parish has traditionally provided the basis for the evolution of many Celtic supporters clubs in the West of Scotland and further afield. The “Garthamlock Emerald”,, “Mossend Emerald”, “Commercial Bar No 1 Blantyre”, “Claddagh Blantyre”, “Bothwell Emerald”, “Bellshill and District”, “Bellshill Brigada”, “Starry Plough”, “Sons of Donegal”, “East Kilbride Athenrye”, “Tom Williams Port Glasgow”, “Linnvale Shamrock”, “Notre Dame Motherwell”, “Nine In A Row Motherwell”, “Che Guevara Kirkmichael”, “Whifflet Saint Mary’s”, “Phil Cole Coatbridge”, “Chapelhall Shamrock”, and “Saint Mungo’s Shamrock” amongst hundreds of others.. 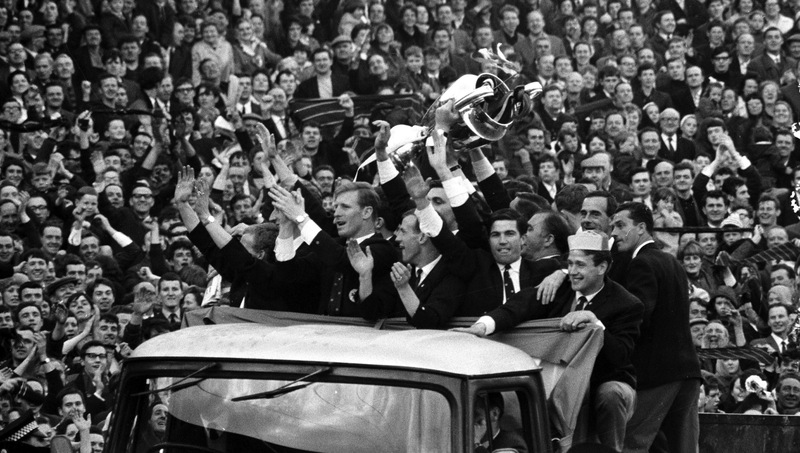 The communal singing and playing of recorded songs in licensed premises, the coaches of supporters clubs – almost certainly this was and is the context in which many young Celtic supporters are and were introduced to the wider dimensions of Celtic fandom, including the songs and ballads characteristic of the support – and in private transport, comes to a crescendo as thousands of supporters from Scotland, and from Ireland, England and far beyond fill the stands of Celtic Park. It’s my central argument that supporting Celtic Football Club generates an enormous wave of communal solidarity among the fans, and indeed, that it is this ‘feeling’ of community that assures Celtic FC of the ‘passion of a people’. 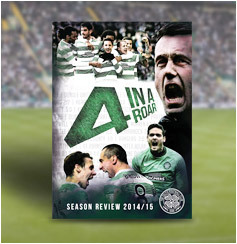 Enter The Shamrock‘s competition to win a copy of the new Celtic DVD ‘4 in a Roar’ looking back on Season 2014-15. Answer this question: The brother of which former Rangers player appointed Ronny Deila as Manager of Strømsgodset IF in 2008? Answers by email please to theshamrock@outlook.com with a note of your name and full postal address. Entries to be submitted by 7pm on Monday 6th July 2015. Good luck Bhoys & Ghirls! Keep working those muscles over the close season . . .
What better way to lift the close season gloom than to re-live the highlights of the season just gone? Celtic haven’t been slow in getting this Ronny Roars-laden review of last season into the shops thankfully. Of course the club are always quick in trying to liberate pounds from the pockets of the support but with this DVD selling at £10 and lasting just short of two hours, it is most definitely value for money. As was the signing of Craig Gordon and the club made another smart move in getting the Celtic keeper to narrate the footage for this DVD. He comes across as very comfortable (other than the odd direct-to-camera piece!) and humorous and it makes you feel closer to the action unfolding before you with him commenting on certain key games and individuals that he himself was heavily involved with. There are a number of lighter moments with the goalkeeper at the microphone, not least when he introduces the League Cup semi-final action v Sevco with the line: ‘We sought to book our place in Celtic’s 30th League Cup Final – to do so we would have to get beyond lower league opposition at the National Stadium.’ Ouch! In retrospect, what a season it was to live through. The arrival of Ronny and the new management team and the early season upsets certainly help provide some drama. At various points the footage is spliced with interview excerpts from Ronny himself which sheds light on what he was feeling at key junctures. The DVD certainly doesn’t sugar-coat the darker moments that the manager, players and support endured – every goal scored and conceded is included here. The defeats against Legia, Maribor and Hamilton are of course painful to watch – but they help build up a truly detailed picture of the season as it unfolded. Watching the team recover and put in some good performances in the Europa League particularly and come good in the League after the festive break certainly helped make up for the earlier set-backs. Of course, much of the enjoyment comes from watching afresh John Guidetti’s early scoring spree, Leigh Griffiths’ two great hat-tricks, the pumping of Aberdeen as and when required (4 out of 4 made for great viewing again), the sweeping aside of Dundee United and the silverware being lifted as the League Cup returned to Celtic Park for the first time in six years and Ronny’s re-modelled team making it 4 league titles in a row. In an age when loan players are very much the rage, the DVD provides a great testament to the single season when Jason Denayer graced the Hoops. John Guidetti is of course on his way also, presumably to sunnier climes, but his excellent free-kicks and the fantastic finish that secured the tremendous comeback against Inter Milan are here in all their glory. The masonic handshake of a decision that denied Celtic the Treble – and Ronny’s comments on the failure of both officials with clear views of the incident to award the penalty – makes an appearance as does a succession of tremendous Ronny Roars from Pittodrie to Hampden and all stops in between. Ronny’s admission in the aftermath of the title party v Inverness that he loves Scottish and Irish music was a clear indicator that he would be entertaining the faithful in Celtic bars in Santa Ponsa during the summer when called upon. I imagine this will be a DVD that will be watched over and over again the further away we get from the historic season that witnessed Ronny’s arrival and the Celtic support falling in love with the Norwegian big style. Watching every goal from every game in the order that they came helps explain why it was such an important season. The footage could only be improved if it included the blooper reel from Cammy Bell’s error-strewn season in the lower leagues. Here’s looking forward to many more roars next season . . . 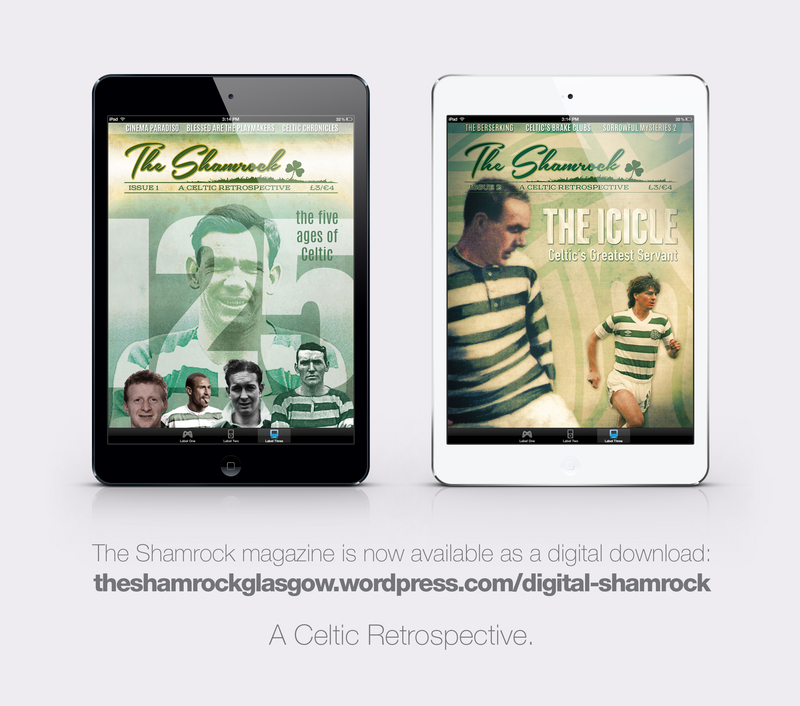 Check out The Shamrock’s other Celtic Re-views here – books, films, plays, CDs . . .
Charitable ventures are always worthwhile and the Celtic support has an incredible record in the field of fundraising which many appreciate is a core value of the club which Brother Walfrid was instrumental in creating. But, I hear you cry, is the music any good? It certainly is. The TCN bhoys and ghirls have put together a truly impressive collection of bands and artists who have contributed over an hour’s worth of Celtic-related music. Some of the acts are already well-established and known to most Celtic fans, particularly The Wakes and Charlie and the Bhoys. The fine London-Irish band The Bible Code Sundays have contributed a couple of songs as has Gary Og and the Exiles and Paddy Ryan. The songs have Celtic and Irish themes and represent a spectrum of views on diverse issues including emigration, football as freedom, growing up Irish outside Ireland and tragic Celtic heroes. Dustybhoy contributes two songs in tribute to Tommy Burns and Phil O’Donnell, and the former particularly is a great effort and a memorable tune. Billy No’Well plays it straight (relatively!) with a tune – which will be well-known to fans of Christy Moore – that is a homage to the great expedition to Seville on the trail of the UEFA Cup as well as a moving number on the immigrant experience called ‘Invisible’. Hutchy‘s song ‘The Spirit of Walfrid’ outlines a particular immigrant’s experience which of course lends its name to the CD and his other selection, ‘In Paradise’ tells another gritty tale. Each of the songs are worth a listen in their own right. I think it is fair to say that the better-known acts raise the bar, as you might expect. Paddy Ryan is in great voice with slant on the old Wolfe Tones favourite ‘My Heart Is In Ireland’ and even more so with the inspiring ‘Home from Home’, a tale of a community in struggle with a clear message: ‘we will fight on’. ‘The Immigrants’ by Gary Og and the Exiles ploughs a similar furrow, introducing us to Michael Davitt, the first Celtic Park and the light that Paradise first shone for those fresh from the Emerald shore into the darkness of inner city Glasgow. ‘Willie Maley’ by Charlie and the Bhoys has beomce a standard among the support in the last decade and deservedly so. Despite its familiarity it is still a welcome addition to this compilation but more so the wonderful ‘Inter Milan’, a song that truly captures the glory of that afternoon in Lisbon from the perspective of both players and supporters. It is a simple tune but very effective and one of the few songs in the Celtic Songbook about that perfect season. 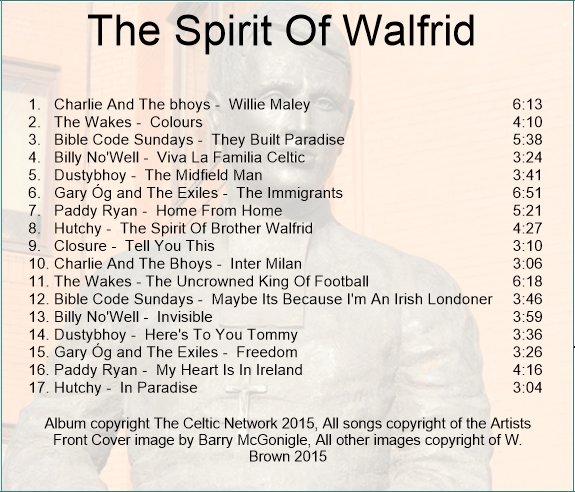 The real highlights of the ‘The Spirit of Walfrid’ for me though were the pair of songs submitted by both The Wakes and The Bible Code Sundays. Each band has a different take on the Irish and Celtic experience, one coming from Glasgow and the other London. The production values in their works are impressive, reflecting their previous studio experience, and with the vibrant ‘Colours’ (“This Is Our City – These Are Our Colours) and the Jinky homage ‘The Uncrowned King of Football’ The Wakes confirm that not only can they write and deliver great tunes, but they are a band destined for greater things all round. ‘They Built Paradise’ and ‘Maybe It’s Because I’m an Irish Londoner’ are two driving and uplifting Irish folk/rock tunes which illustrate why The Bible Code Sundays have such a great following. They have a tremendous frontman Ronan McManus (whose brother Declan is no stranger to the music business although better known through his stage name Elvis Costello) and an energy which is best transmitted live. The two songs here give an insight into why, despite the distance from Glasgow and Ireland, supporting Celtic is a key feature of their Irish identity and also help explain why this fine band were once described as ‘The Clash on Irish steroids’! All in all this is a tremendous compilation of 17 songs which would be well worth spending your money on. It is a unique Celtic supporters-led initiative and the organisers have created an excellent collection of contemporary Celtic-related music and the fact that five different charities benefit from each sale makes it an even easier decision to purchase. Buy it – it’s a taste of Paradise to take with you anywhere. Available both in CD format (£7.50) as well as digital download (£5.00) at goodcauses.thecelticnetwork.com. The CD can also be purchased in person from Celtic Canvas Art near Celtic Park in the Forge Market (open Thursday – Sunday 10am – 5pm) and Calton Books, Glasgow’s independent radical book shop, at 159 London Road – close to the Barras (open Wednesday – Sunday 11.30am – 4.30pm). The good causes TCN page also contains further details on the 5 charities set to benefit from sales.